Two HMCAC scholarships, five endowments and counting–impacts seven incoming freshmen every year. 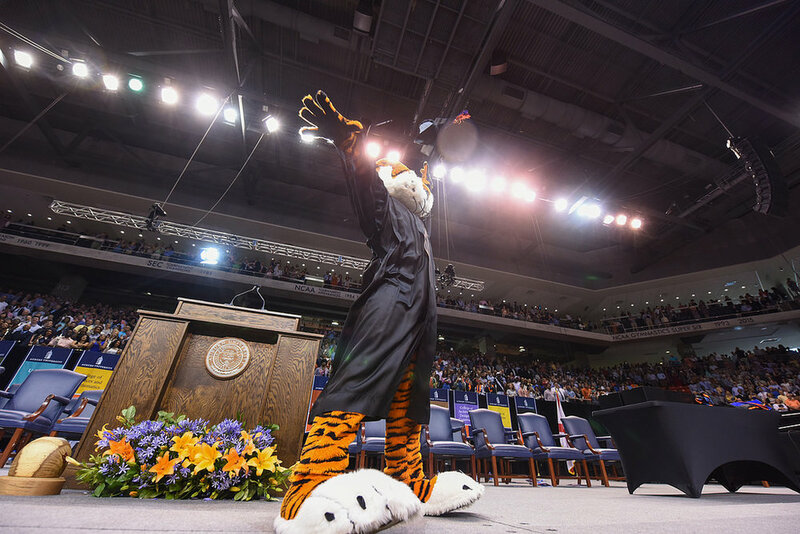 Five endowments are awarded annually by Auburn University to incoming freshmen from the greater Huntsville area. These endowments are supported by philanthropic donations to the university. To learn more, click here. Two scholarships, classified as external scholarships, are awarded to candidates selected by a committee of representatives from the HMCAC board. The award is presented to students who reside and attend school within Madison County and best exemplify a balance of academic excellence, involvement in extra-curricular activity, support of their local community, and demonstrate a need for assistance in fulfilling their dream of being an Auburn student. To continue to meet our scholarship goals, we need each of of the more than 6,000 Auburn alumni and countless supporters and friends of Auburn living in Madison County to join the HMCAC and participate in our club’s activities. Proceeds from corporate sponsorships, events, Power of 100, and Auburn Alumni Association dues all benefit our scholarship efforts.